Extra Fine Merino - Patons 8 ply There are 29 products. Merino EXFM 8 ply is made from 100% Australian extra fine merino wool. Super soft, it's a luxury yarn at an affordable price. The latest shape using our merino collection. A new look Aran knit in Patons Totem. 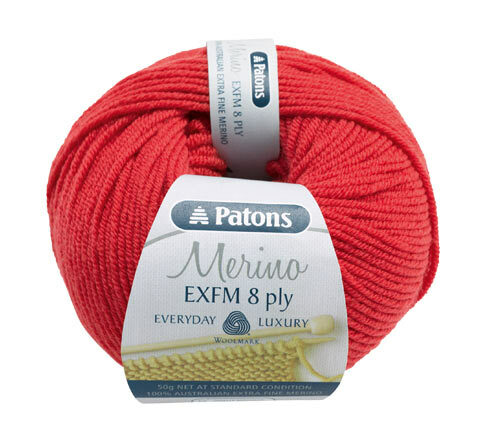 Patons EXFM 8 ply is made from 100% Australian extra fine merino wool. Super soft, it's a luxury yarn at an affordable price.